During tournament play, you eventually are going to find yourself in a situation where you are short stacked. This means you are running out of chips and, because you are in a tournament, you likely are not able to buy yourself back in. Due to this, you need to find a way to improve upon your chip count and try to make a comeback. While this is never guaranteed, there are several different things you can to do improve your odds. From Sportsbook, Online Gambling, Racebook Gambling, WagerWeb offers you the best online gambling options, check it now! When you see your stack is getting low you need to investigate the situation. First, compare how many chips you have to the rest of the people on the table. Now, compare the size of your chip stack with that of the blinds. You want to look at what the average stack is on the table and also count how many hands you can partake in before you just bleed yourself dry. In general, you are short stacked when you only have somewhere between 10 and 20 big blinds worth of chips. When you fall below 10, you need to either fold immediately or go all in. There is no calling or raising. It is all all in or nothing immediately. In general, the fewer chips you have the more expensive it becomes. With every bet, call and raise, your chips are going to become smaller and smaller in size. You basically need to look for opportunities to go all in. While you do not want to just toss all of your chips in on a random hand, you need to move forward with your all in when you have somewhere between 15 and 20 times the blind. This way, some of the players might feel threatened and unless they have an exceptional hand, they are going to fold. As you see your chips start to dwindle, you are no longer able to wait for a premium pair to be tossed your way. Essentially, you need to push if you have anything, ranging from a pocket pair (even if it is a small one) or anything with an ace. Essentially, anything that might result in a victory you need to move on. If you have noticed many of the players at your table are playing tight, you can actually move forward with your hand and they are less likely to continue to bid, unless they have a solid hand. With such a small hand, there really isn’t anything you can do about it, so you need to take your chances. Too many people try to protect their chips, folding every single time unless they have the best possible hand. However, this is not going to do you any good. It reduces your ability to make any sort of bet worth wild, so even if you eventually land an amazing hand, you are not going to win much as you couldn’t bet much. In poker, betting is an intricate part of the process. However, it is important to understand that you are just not going to place down random amounts of money for no reason. Yes, you bet more money when you think you have a good hand or when you intend to bluff, but there are more reasons to bet than just this. All of this is able to help you out significantly, which is why you need to know and understand how and when to bet in poker. In general, it is better be be a more aggressive poker player instead of a timid poker player. This does not mean you need to raise and re-raise every single hand, as after all, there is no reason to throw away money when your hand is no good. However, when you raise it is more than just this. Often times new players raise just to see the flop, but it is a philosophy likely to cause you to lose. Instead, you need to know when to raise and when not to raise. Good reasons to raise include thinning out the playing field, in order to increase the value of the pot and take control of the hand by showing your interest in it. You don’t want to play against multiple individuals moving forward in the hand, so instead of calling it is a good idea to raise. Raising the bet is also going to help you take control of the hand. This shows your aggressive nature. Lastly, it also helps you raise the value of the pot, which ultimately is what you want as well. There are a few times you might want to call. This is when you are the first individual playing on the hand or other individuals are limping through the hand and you do not have much you want to play with but don’t want to fold. Before you ever bet, you always need to know why you are betting. You don’t want to just toss in some money into the pot and go from there. If you do this, you are more likely going to just lose all of your money and end up leaving the table early. Instead, you just need to focus on a few specifics. First, you need to justify your reasoning (internally, of course) as to why you are tossing down the chips. You need to understand the position you are in the betting order, look at the tendencies of the rest of the players at the table, so you know whether or not someone is likely bluffing, and you also need to know what your own table image is. If you are just starting off, it might take some practice to understand when you should play and when you should hold, but ultimately, the more you are able to play and bet, the better off you are going to be with developing your poker skills. 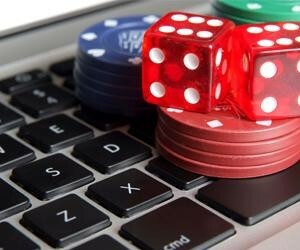 For decades, gambling has been considered a very interesting sport, with hundreds of games that can be played in order to earn a certain amount of money while also having fun. One of the main questions that many gamblers, but also normal people have asked themselves is whether there are any chances for someone to become a professional blackjack player. Many gamblers want to be professional blackjack players. It sure is a cool thing to outsmart casinos and take their money when the majorities of people are losing to them. But the reality is very few persons have what it takes to succeed in professional blackjack. Make no mistake about it: professional gambling of any kind is a tough business, but blackjack is even more so as it is a necessarily underground activity that cannot be practiced openly, and whose dynamics are always changing. Well, the answer to this question mainly depends on the point of view from which you’re looking at the big picture. Blackjack represents a game of luck where just about anyone has the chance to win big, especially if they know the rules of the game and have tried it before. Well, what many people don’t understand is that just like poker, it may also be about having the skills necessary in order to win, as there are certain techniques used by top players in order to win big tournaments and become better blackjack players. You have to admit the fact that there is simply no easy way to start playing blackjack professionally, as you can’t really walk into a casino, sit yourself down at a table with some great players and simply expect to win. In order to become a professional player, you’ll have to start from the bottom and slowly work your way up to the top of the ladder. In order to do this, you may want to start playing blackjack with your friends online, practice playing on some of the many sites that offer free blackjack games, head over to casinos and try your luck at different beginner tables. 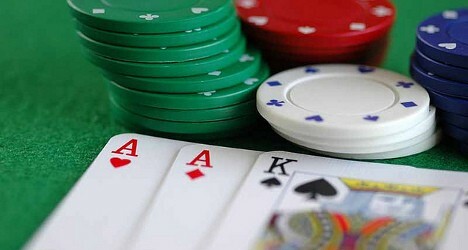 Once this is done, you may want to level yourself up and start playing with better people, or with a higher online difficulty, but it is important to only start doing this once you’re aware of how to play blackjack properly along with the high number of techniques that can be used in order to win big legally. With all of these tips in mind, yes, it is possible to play blackjack professionally, but like any other sport, you need to start from a certain point and train yourself in order to reach the top. As this game can also be considered tricky, make sure to know how to bluff and never consider yourself too lucky as that’s when most people lose, but also don’t be afraid to take a risk, as gambling pretty much is all about risks. Searching for that right piece of information to aid players with having a better poker experience can become a very daunting task. The search can take hours to weeks and worst of all a player will be taking time away from actually enjoying the game. So where is all the great information needed to help poker players increase their chances of winning? The information needed is located here! The main key to successfully increasing a player’s winning chances in poker is always choosing the game possessing the best payout table. The player should gain knowledge about how to distinguish a good payout table from the bad payout tables. To make things a bit easier, a player should study the tables full and short pay information. The higher the percentage the better a player is likely to receive a healthy payout. Keep in mind that most casinos offer bad payouts. So with that begin said, here are to casinos with good payout tables: Playtech and Microgaming casinos. In most cases, the payout table will depend on the number of coins bet on a turn. Therefore, to become eligible for the proportional higher bonus payouts on a Royal flush, players must bid the maximum amount of coins allowed per game. If a player does not bid the max then he or she will risk winning a large lump sum of dough. Position, referred to as seating arrangements, is vital for increasing a person’s chances of winning a game. Whoever acts first must have a very strong hand to bet/ raise or call than players who play later. So if a player is participating in a 5 opponent game and decides to sit in the first position, that person is likely to be out played at any given time by the other 4 opponents. The advantage is taken by those who plays later in the game specifically fourth and fifth seated players. 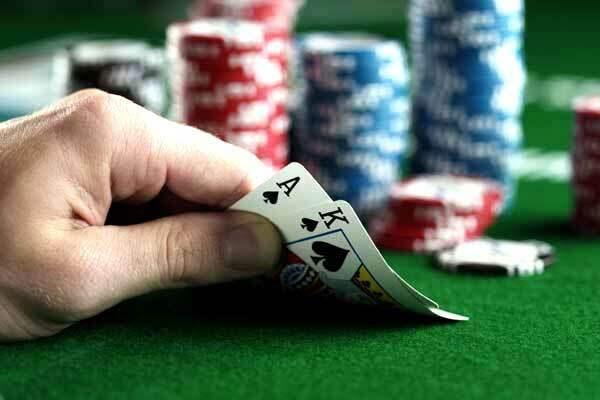 Raising increases a players chances at winning a big pot only if he or she has the best hand. When a player has the best hand it is very appropriate to raise to generate a more money in the pot for a bigger winning. If a player has a made hand the only way to protect is by raising which will drive out opponents. Raising also used to bluff and to semi-bluff. There are many reasons to call! If the player has a drawing hand, then the player should call to get more cards. This will allow the player to receive the correct pot odds as and limit loss in equity. To better a player’s odds of winning, the player should also call to conceal the strength of their hand. Calling can also help manipulate pot odds. This is done by encourage opponents who play later to overcall or raise making the pot larger. In Texas Hold’em, the first choice everyone has is seeing the two cards nobody else gets to see. 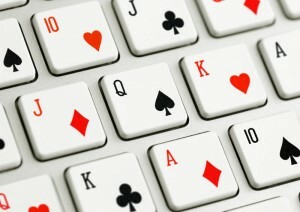 It is an exciting moment, in a real casino, just before you turn up the edges to peak at the cards, making sure nobody can see them, or when they display, only to you, on the computer screen in an online poker game. Real poker players never tire of this moment. These are your “hole” cards. Be aware when getting really great hole cards, this is a very likely place for your “tells” to show. “Tells” are involuntary reactions which give other players some indication of how strong your two hole cards are. When in person, in a casino, “tells” may be some body language. Online “tells” may be speed of placing a bet, when it is your turn to bet. Beginner’s often try to “play” poker and often get “played” because of the desire to bet on too many hands. Good poker strategy includes knowing when to stay out of the game. This does not mean you stop playing. Quite the opposite. When not playing a hand, this is the chance to watch the other players. See if you can guess what cards they have, by how they play them. Often it is much easier to see these patterns when none of your own money is at stake. Some hands are better than others and are technically considered “always-play” hands, because of the odds in your favor. The most obvious is the best hand, some like to call them “pocket-rockets” or “bullets” meaning two Aces. Next best are pairs of either Kings, Queens, or Jacks. These are also always-play hands. 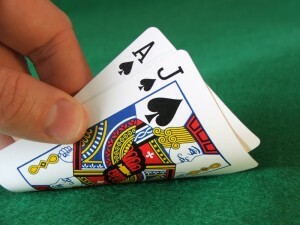 Following the high pairs, are hands made of high cards of the same suit. Any Ace with a high card in the same suit such as Ace and King of hearts is an always-play hand. This means same suited Ace with King, or Queen or Jack is an always-play hand. Same goes for the King and Queen. The only place where the pattern changes is with the Ten. The odds start to be less strong when the Ace, King, or Queen comes with a Ten. The only combination of suited cars with a Ten, which is always-play is the combination of Jack and Ten. The reason for this is the Jack-Ten combination has a chance of making a straight or flush from the lower value cards. Unsuited cards of high value are also always-play, but they are limited to three combinations, which are: Ace with King or Queen, and King-Queen. Learning the always-play cards is essential for beginners. You will save a fortune in losses from mistakes while learning the game if you concentrate only on the always-play cards. When you don’t get them, FOLD. Then watch and learn from the other players’ behavior. When playing poker, it is important to know the probability of winning a hand. There are all sorts of different hands you can receive, so you need to know if you are likely going to win the hand or if you need to hold out on raising. Although you have a general idea of what cars are worth and what hands are going to be worth more than other hands, knowing and understanding your probability of winning should pay off drastically. When receiving your cards, the best two cards you can receive are obviously two suited cards. These provide the best general odds of winning at 24 percent. If you have one or more aces, your chance of winning is 16.6 percent, while any pair means you have a 6.25 percent chance of winning. No other starting two pair of cards has any significant percentage above five percent. Due to this, unless you have two suited cards or a pair or at least one ace, you depend more than ever on the pre-flop match cards. Before the flop, you are able to determine the probability of winning simply by the cards that you have. If you hold a high pair and your opponent holds a low pair, your probability of winning is 83 percent. If you have a hair pair and your opponent has a low pair, your probability of winning is 82 percent. If you have a middle pair and your opponent has a high and low card, you are going to win 71 percent of the time. On the other hand, if you have two high cards and your opponent has two low cards, you win 63 percent of the time. Finally, if you have two high cards and your opponent has a low pair, your probability of winning sits at 55 percent. While playing hold’em, there is a set probability for new cards improving your hand. 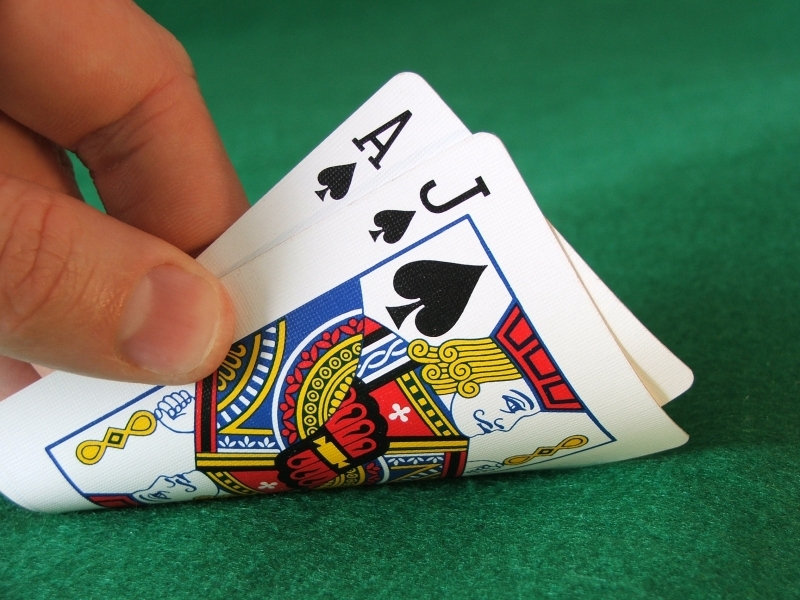 Non-pairs will pair at least one card roughly 32 percent of the time. Receiving two suited cards is going to help you make a flush 6.5 percent of the time. Two suited cards are going to flop a flush .85 percent of the time, while two suited cards flop a four flush 10.9 percent of the time. A pair is going to flop a set 12 percent of the time while a pair is going to flop four of a kind .25 percent of the time. There are all sorts of odds that go into playing poker. While this does not cover all of the different odds, as this can take a considerable amount of time going over all of these, it is important to know the basics and what your chances are at improving your cards and how likely it is you are going to win or what you need to look for in the pre-flop. All of this is essential in helping you become a better poker player, no matter the kind of poker. Multi-tabling is a method of playing online poker in which you participate on multiple tables simultaneously. Many recreational poker players choose to multi-table because it’s more fun and if they are skilled then they can also increase their profits over time. Professional players will mass multi-table in order to maximize their profit per hour rather than seeking a particular rate of return on their investments. In general, your goal during a session of multi-tabling should be to minimize the amount of different factors coming into play. When you have to think about strategic differences every time you move from one window to the next, you’re likely to experience problems and reduce your profitability. Tiling is considered to be the most popular method of multi-tabling. When you tile your table windows, you arrange them such a way so that they’re adjacent to each other so that you can see each table in full with little or no overlapping. Most online poker rooms have re-sizeable windows to allow you to change the default size of the tables. How many tables you can fit onto your screen without any overlapping will depend on how easily you can view the tables – and of course the size of your monitor. Some online poker players like to play across multiple computer monitors but for the casual player a single monitor should be sufficient. Tiling your poker tables means you get to see everything that’s going on across all tables and this has some clear advantages. 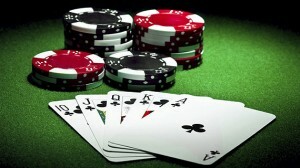 Stacking is usually the method of choice for players who play a very high number of poker tables simultaneously. Each table window is placed directly on top of the other windows so that they are all positioned in the same general area of your screen. When stacking be sure to check the preferences of your poker software and have it set to bring a window to the front of the stack when it’s your turn to make a betting decision. Players who like to mass multi-table sit-n-goes of various types are most likely to use this method since many decisions in the game are more standardized and automatic than those of a cash game player. There are advantages to stacking your tables. Firstly, unless you have a very large monitor, you can play on more tables simultaneously – and can increase the size of the tables. Also, since the active tables will pop up in the same position each time, you don’t have to move your mouse cursor across your screen for each betting decision. The general concept of multi-tabling is that if you can be a winning poker player at one table, you might also be able to be a winning poker player at two, three, four, or many more tables simultaneously. Most online poker rooms have built-in features that facilitate multi-tabling and in this lesson we’ll examine the two main methods and provided some strategy tips to help you maximize your profits. When it comes to playing poker, there are generally two different kind of games played. The first is a cash game. This means there is one table with individuals coming and going as they please. The second is a tournament, with often multiple tables going on at the same time. In large tournament play, there might be dozens of tables going on. While the general rules are the same in both cash poker and tournament poker, you are going to find there are slight variations, so it is essential to read up on the difference between you move from cash poker to tournament poker. When playing in a cash poker game, you exchange your money for chips. You can come to the table with as much or as little as you want. Every player is going to come to the game with a different amount of chips. 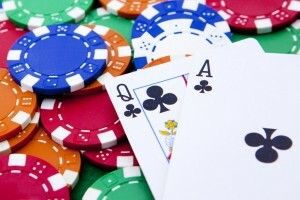 However, in a tournament, every player pays the same amount to enter the tournament and are usually given the same amount of chips so there is no advantage. 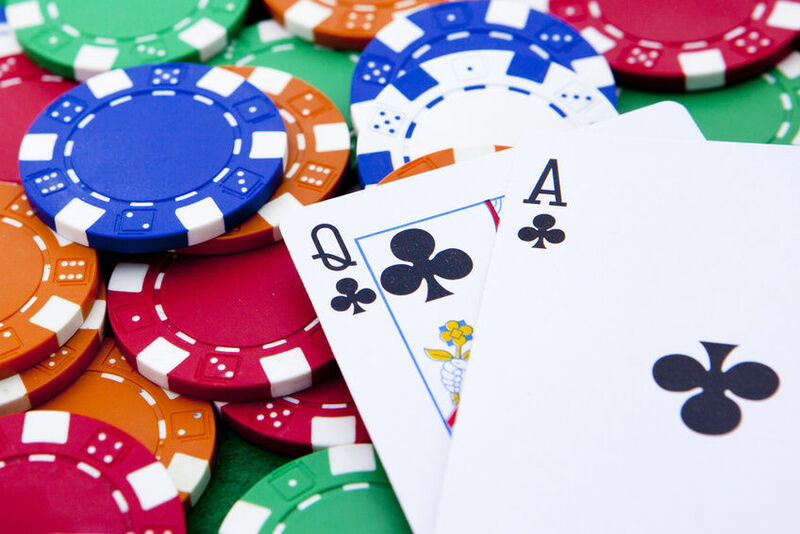 There might be slight variations to the rule of how many chips a player receives in a tournament, but in general, every player receives the same amount. 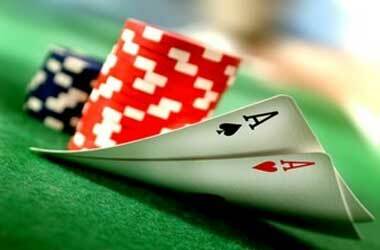 With a cash game, you are able to quit at any time you decide. When you leave, you can then exchange your chips back into cash. However, this is not the same with a tournament. In tournament play, you sit at the table until either you are out of chips or you have won. There is only one winner in tournament play per table. Instead of cashing out, you are paid money based on your final position in the end of the tournament. The longer you last, the more likely you receive more money during the payout. If you are out of chips in a cash game, you are always able to buy yourself back in. However, once you are out of chips in a tournament game, you are out and done for the tournament completely. During a cash game, the blinds are going to stay the same, no matter how often you play or how many hands you have played. It usually depends on the stakes, with higher stakes requiring a higher blind. However, in a tournament, the cost of the blind increases every set amount of time. This means, the blind might increase a set amount every 20 minutes or so. This is something you want to look into when going to the tournament as it can become very important in how you handle each bet and what you are able to do. You should consider that there are some tournaments that do have a rebuy option. This means that after you have lost all of your chips you might have a one time option to buy back into the game (although some tournaments allow you to buy in as often as you want), as long as you do so within a set time limit (such as an hour). The biggest mistake a novice poker player can make when playing online and in live action games is giving their opponents too much information. Quit teaching other players how to beat you by practicing these rules. Never, ever, ever, show anyone at the table what your cards are unless you have to. This is one of those things that many rookie players don’t consider. Every time you show a hand, you are giving the other players information about your style of play. This information is insight into your strategy based on the cards you show, in addition to the action of the hand. If you keep your card information to yourself, other players will only be able to rely on what they think you had. Don’t make it easier for them to beat you. When you catch someone bluffing, do not tell them that you’re on to them. Not calling a player out on his or her bluff, is hard for a lot of players who want validation of their skills. The problem with “bragging” about your discovery is simple: your opponent is now aware of their mistake, and you no longer have the advantage. Celebrate silently. 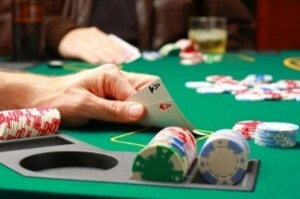 Interaction in a game of poker is part of the fun, and strategy of the game. Your communication with other players is being scrutinized and can be potentially harmful if you aren’t careful. Understand how your response is different based on your hand, and work on being consistent in conversations and behaviors, regardless of your hand. The art of the poker face can take some time to develop, but it’s critical to perfect in order to be a successful player overall. Be aware of how your behavior changes, based on your hole cards, the flop, the turn, and the river. In addition to perfecting your poker face, also focus on how your body reacts to certain situations. Control your heartbeat, the shakes, and other reactions that could indicate how good or bad your hand is. If you’ve ever played poker online, you’ve probably noticed some great names around the virtual table. You’ve also probably noticed some really lame ones. Choosing a good moniker can help you to last longer at the table and even make new friends, while a bad one can make you a target in more ways than one. It’s best to put a little thought into your online poker name before you join the table. 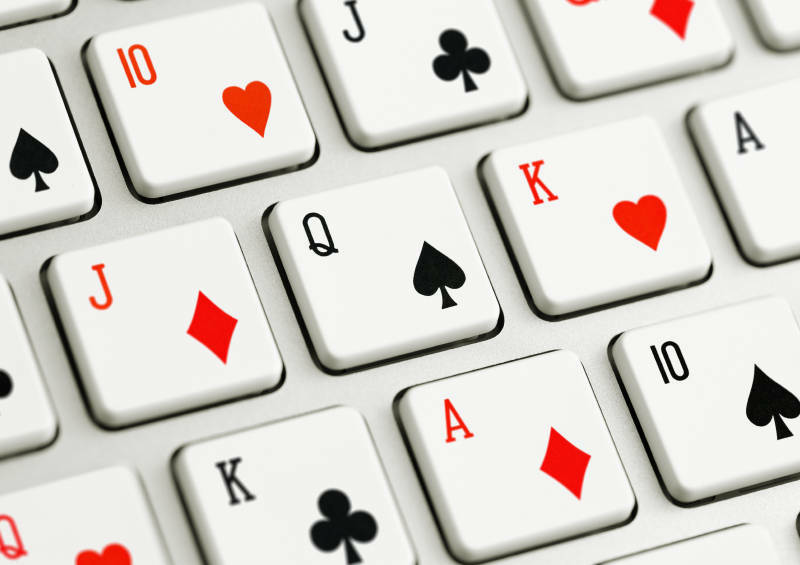 One common mistake people make with online poker names is giving too much information. For instance, “BobSMithSS#111-11-1111” is probably not a very good choice. Steer clear from anything that includes personal information, including your real name. You don’t want to take someone’s chips only to find out that they’ve taken your identity. Let’s face it, poker is a war. A name like “Cuddlebear32” or “Bunnies&Kittens4ever” will probably not strike fear in the heart of your opponents, at least not until you’ve proven yourself. If your reputation as such a great and ruthless player is such that your moniker of “Fuzzyloveywumpykins” causes people to cash in their chips and find another table, then I salute you. Otherwise, you should probably find a tougher name. You can go too far in choosing a tough nickname, too. When you go with a name like “Yourchipswillbemine78” or “Yourwifefeltgreatlastnight69,” there are probably going to be a few people looking to bust you out early just so they can laugh about it, or just because seeing your name on their screen irritates them. Names with profanity or implied profanity also seem to get attacked early. So, what’s left? Funny names are good, names like “Theguyonyourright101” or “Doeslowcardwin16” might get a chuckle or two and probably won’t incite too many to poker violence. Names from movies are okay, too, and could start a nice side conversation. Sometimes an in joke can be good, too, or a long-forgotten childhood nickname. Poker names are always nice, although it gets a little tiresome to see a “Takemetotheriver” or “Acehigh” at every table. Above all else, make sure to pick a name that you will be comfortable seeing every time you log on.